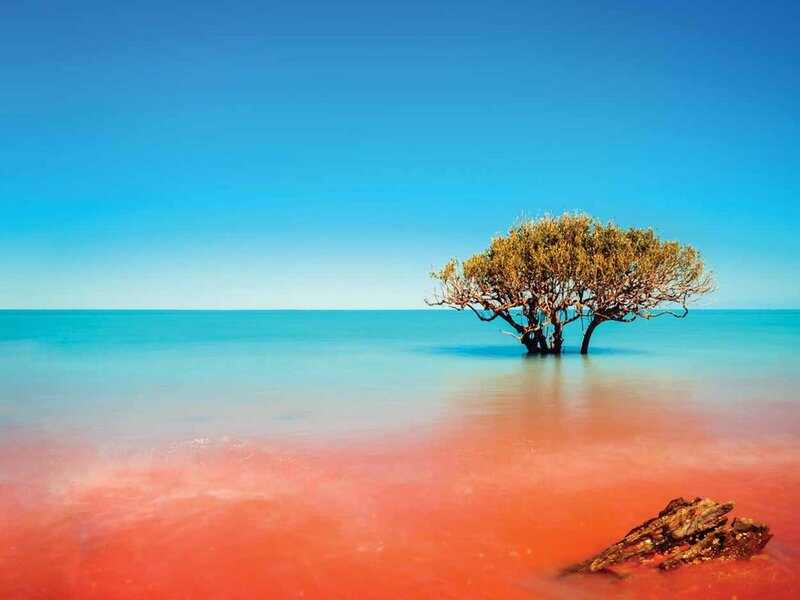 of the outback, Queensland is home to unforgettable and sometimes unexpected experiences. Just a ferry ride from Cairns, Green Island and Fitzroy Island are two of the most exceptional islands on the Great Barrier Reef for exploring nature – both are declared protected national parks. Green Island makes a great for a day trip for people interested in snorkelling, diving and perhaps a glass-bottomed boat tour. For those looking to explore on land, a stay at Green Island Resort allows time for guided eco-walks through the rainforest. The 12-hectare island alone is home to 120 species of plant life and more than 55 species of bird life, of which 15 regularly nest on the island. Fitzroy Island is another of Tropical North Queensland’s greatest gems, complete with 339 hectares of towering ancient rainforest and mangroves, granite outcrops and white-sand beaches. Ideal for yachting, boating and water sports, Fitzroy Island provides a plethora of options for self-guided eco-adventures – a full walking loop of the island will take you around two-and-a-half hours with a few stops along the way. Sponsored by Fitzroy Island Resort, the Cairns Turtle Rehabilitation Centre, located on the island, is a not-for-profit organisation run by volunteers dedicated to the rehabilitation of sick and injured marine turtles. From an open-top wildlife tour of historic Nogo Station, enjoying bush tucker and poetry under the stars, to a majestic sunset cruise aboard the charming Thomson Princess riverboat, Kinnon & Co Outback Pioneers allows you to discover the thrills and traditions of pioneer life with an eclectic diversity of true-blue experiences in and around historic Longreach. 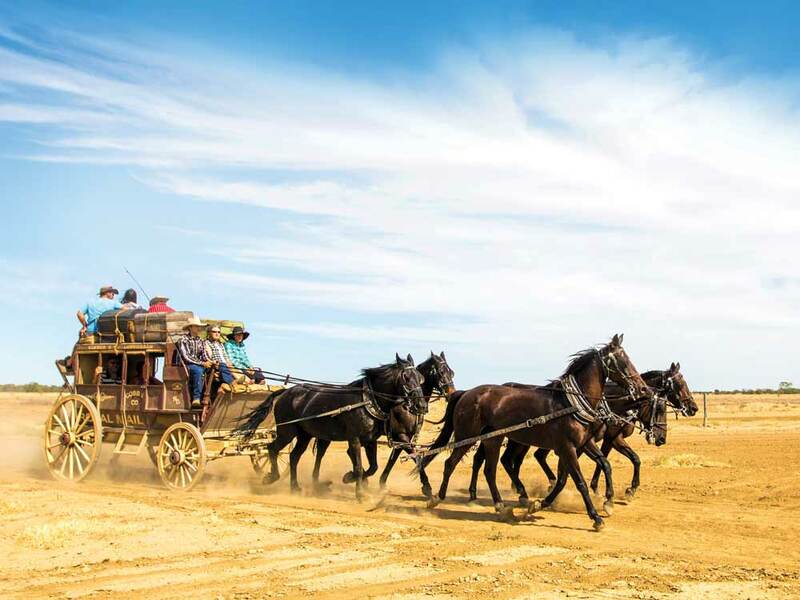 Truly unmissable is the Cobb & Co Stagecoach Experience – the only stagecoach gallop in Australia to authentically recreate our Aussie pioneering past. Gallop full-tilt across the old Longreach-Windorah mail route, take a ‘smoko’ (aka tea break), catch a classic bush movie in a retro cinema and experience a traditional tribute to the old travelling shows. At the end of the day’s explorations, retire in authentic Aussie tradition at your choice of heritage 4- and 4½-star accommodation. Reside in a rustic Pioneer Slab Hut complete with canopy bed and quirky bathtub terrace to be transported 100 years into the past. Or stay in the Homestead Stables, where stable boys slept alongside horses. on the Northern Territory border. 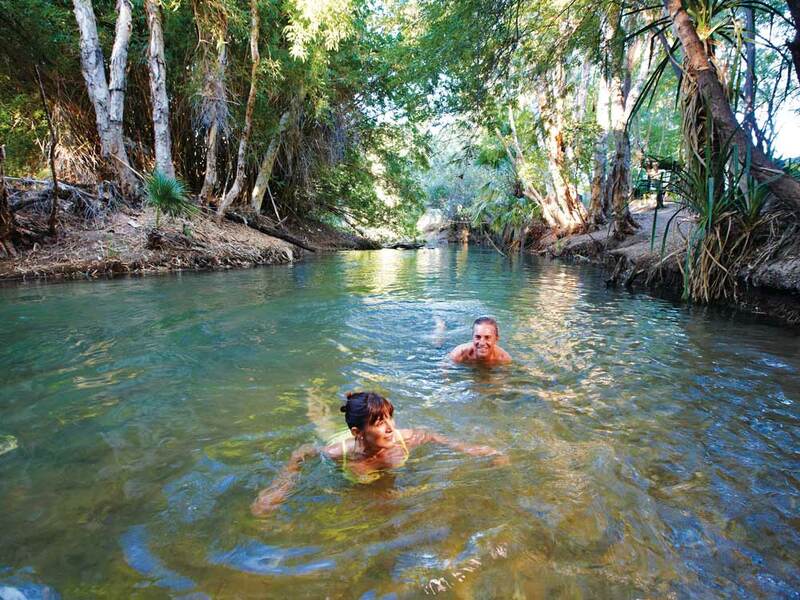 While refreshing spots to swim aren’t the first thing that come to mind when picturing the outback, Boodjamulla is a true oasis scattered throughout with refreshing waterholes and waterfalls. A paradise for kayakers and those wanting to share a dip with turtles, barramundi and archerfish, the beautiful Indarri Falls, entirely blanketed in vegetation, are an absolute highlight. Duwadarri Waterhole, shrouded by purple waterlilies, is a favourite spot for campers to set off for the day’s hike or canoe around the gorge. Wildlife enthusiasts should be sure to keep an eye out for the area’s 140 bird species. The uninterrupted illuminations of our night sky are something entirely awe-inspiring to behold. 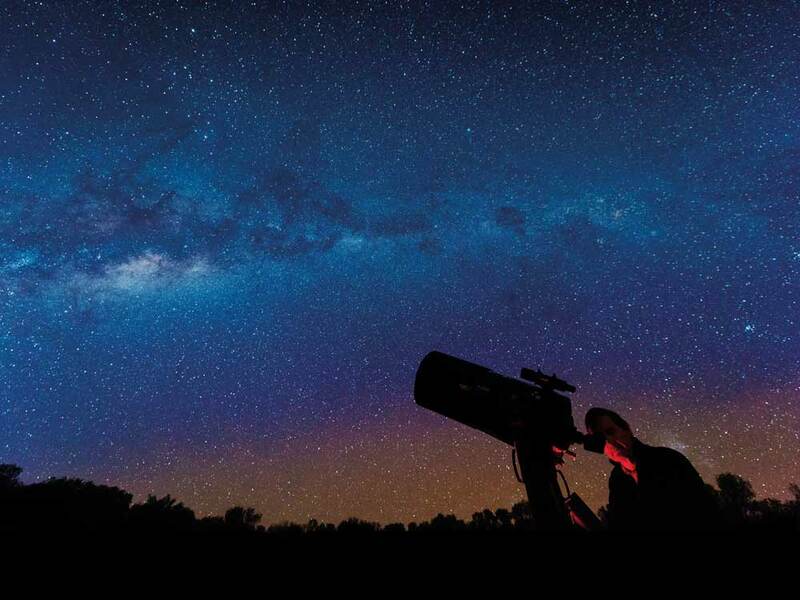 And with its minimal air and light pollution, flat surroundings for hundreds of kilometres and very few cloudy days, Charleville is a sensational location for viewing the Milky Way. As the roof is rolled back at Charleville Cosmos Centre and Observatory, and its powerful Meade telescopes are focused in, the night sky and cosmos are spectacularly revealed, while specially trained guides share their knowledge on star clusters, planets, binary stars, nebulae and our place in the solar system. 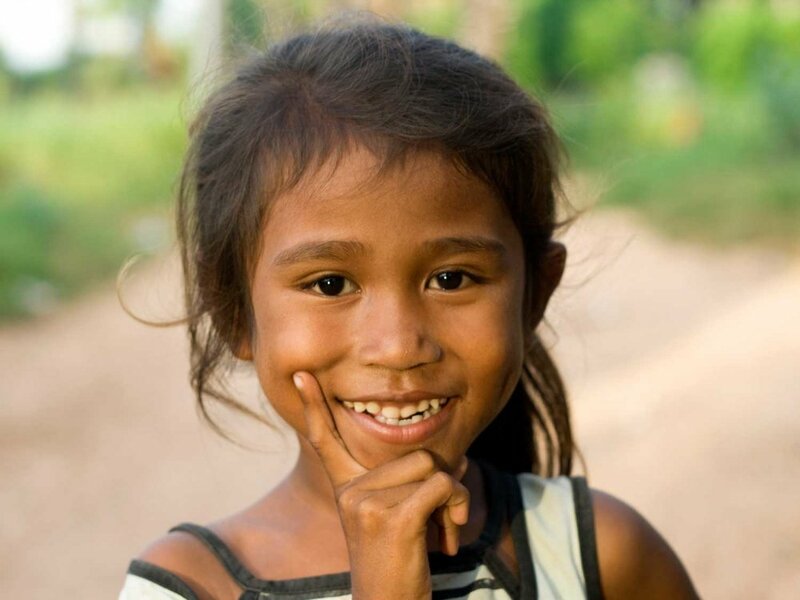 During the day, the learning continues. On a visit to the Cosmos Theatre discover the explanation behind falling stars, the formation of our solar system, and its five new dwarf planets. You can even hold an other-worldly meteorite in your hands. Outback Queensland is proud home to the Australian Dinosaur Trail – an adventure across the triangular trail of towns Winton, Richmond and Hughenden. At Winton’s Australian Age of Dinosaurs Museum, discover the world’s largest collection of Australian dinosaur fossils and assist in the fossil preparation process. In Richmond, marvel at Australia’s best-preserved dinosaur skeleton, named Penny, alongside a diverse range of marine reptile fossils at Kronosaurus Korner, and view fossils being processed at a world-class standard. In Hughenden, quirky dinosaur sculptures adorn historic streets and public buildings, while Hughie – a terrific seven-metre-long Muttaburrasaurus – is the star attraction of the extensive Flinders Discovery Centre. While in town, be sure to attend the light and sound exhibition presenting Porcupine Gorge National Park’s formation more than 500 million years ago. True Mesozoic-era geeks will be thrilled to check out one of the highest concentrations of dinosaur swim traces in the world located 110 kilometres south-west of Winton. Home to one of the highest concentrations of nesting marine turtles in Australia, Mon Repos Conservation Park in Bundaberg runs nightly tours where visitors can witness turtles come ashore to lay eggs, and (later on) watch the hatchlings make their way to the sea. The season runs between November and March, with the highest concentration of hatchlings arriving in February and continuing to emerge through to late March. Championing education alongside conservation, Mon Repos Turtle Centre is an interactive learning centre where children and adults alike learn about the astounding journeys marine turtles have made – for more than 200 million years – and to better understand the current threats and conservation efforts underway to protect the ocean’s great reptiles. 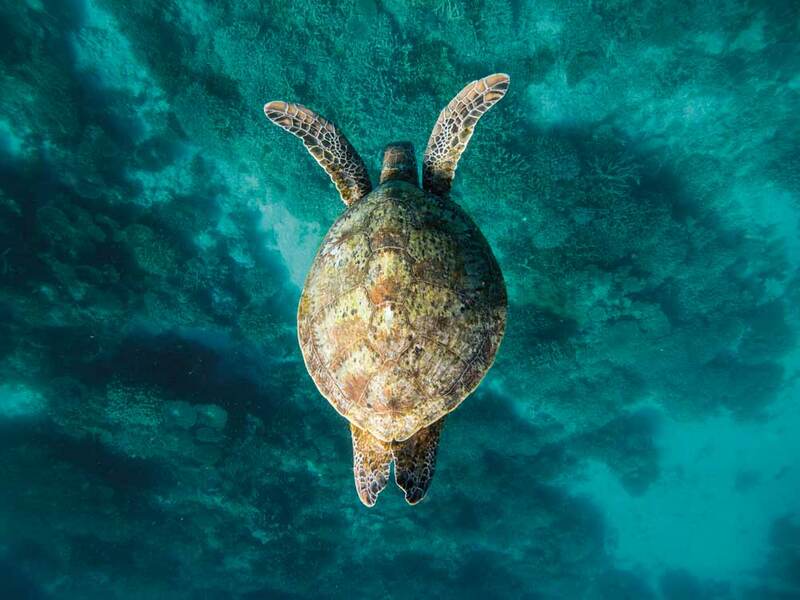 The Great Barrier Reef is home to six of the world’s seven marine turtle species. For more than 200 million years, sea turtles have found their way back to where they were born as hatchlings to nest and lay their own eggs. At birth hatchlings orientate themselves to the earth’s magnetic field, and use this to lock the location into their internal GPS. Only one in 1,000 turtles reaches age 30, when they begin to reproduce.